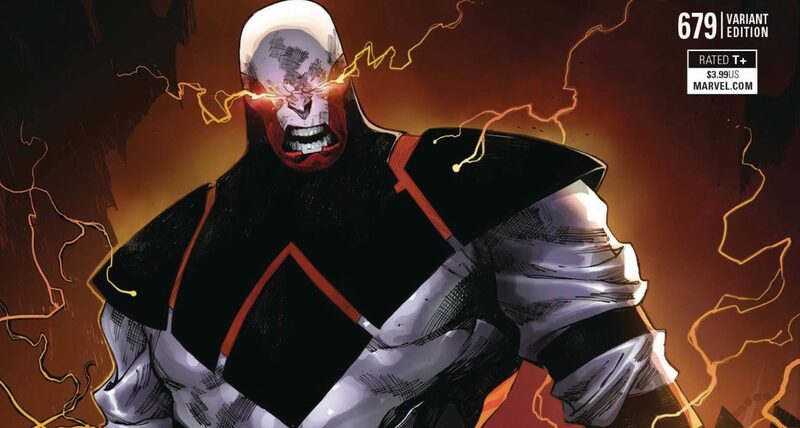 Marvel Comics Universe & Avengers No Road Home #10 Spoilers: New Status Quo For Voyager, The Challenger & Conan The Barbarian! 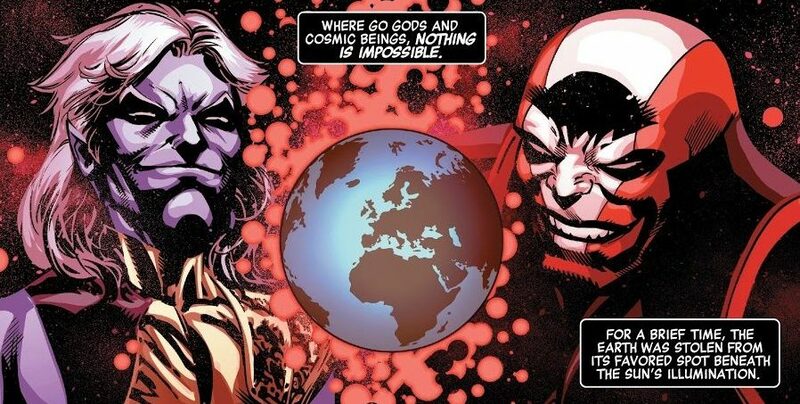 Marvel Comics Universe & Avengers No Road Home #4 Spoilers: The Secret History Of Marvel Revealed?! How Does Avengers No Surrender Tie-in? 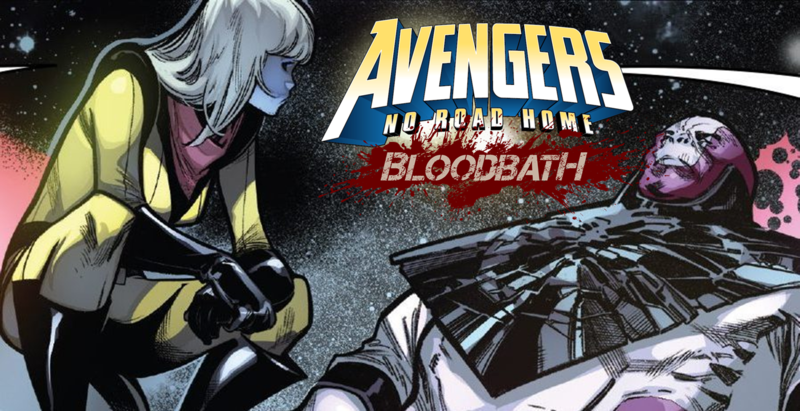 Marvel Comics Universe & Avengers No Road Home #2 Spoilers: Who Are All The Legacy Marvel Heroes Killed By Nyx?! Plus Voyager, Challenger, Hercules & An All-New All-Different Tragic Hawkeye?! Marvel Comics Universe & Avengers No Road Home #2 Spoilers: The Challenger Returns Alongside Voyager Plus Nyx Vs. The Olympian Gods! Preview! 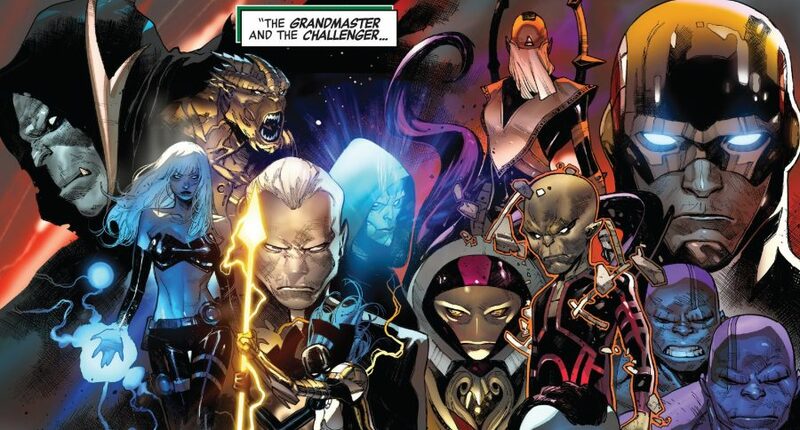 More Elders Of The Universe Uncovered As Fans Await The Challenger & Voyager In Avengers Or Elsewhere In Marvel Comics! The Promise & Potential Of Elders Vs. Avengers 1,000,000 BC?! 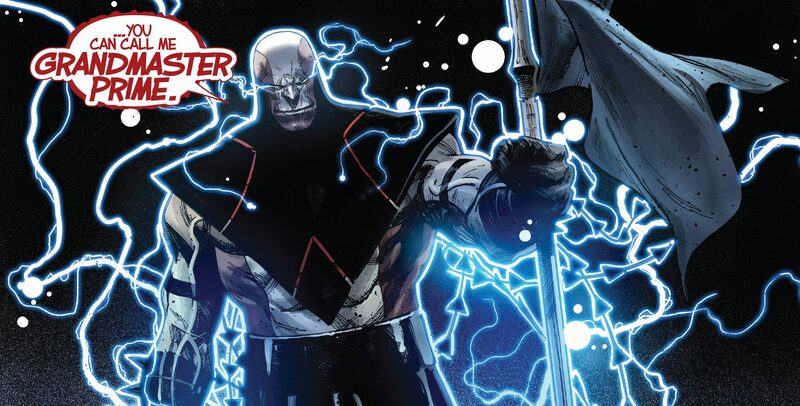 Marvel Comics & Avengers Spoilers: What’s Next For Voyager, The Challenger, The New Lethal Legion & Others After No Surrender As Avengers #1 Hit Stands For A Fresh Start? 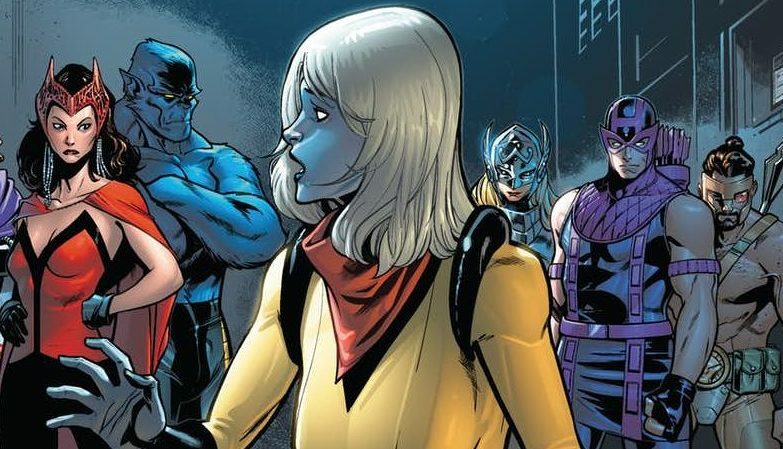 Marvel Comics Legacy & Avengers #690 Spoilers: No Surrender Part 16 Finale Reveals The Fates Of Voyager & The Challenger & Ties Into The Avengers #1 Fresh Start? 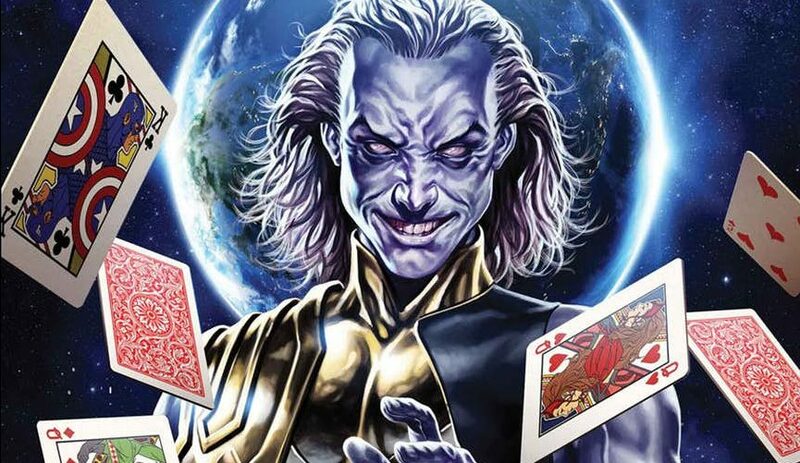 Marvel Comics Legacy & Avengers #689 Spoilers: No Surrender Part 15 The Grandmaster Returns With The Fate Of Earth Still At Play In A… Poker Game? Can an Avenger bluff the Grandmaster? 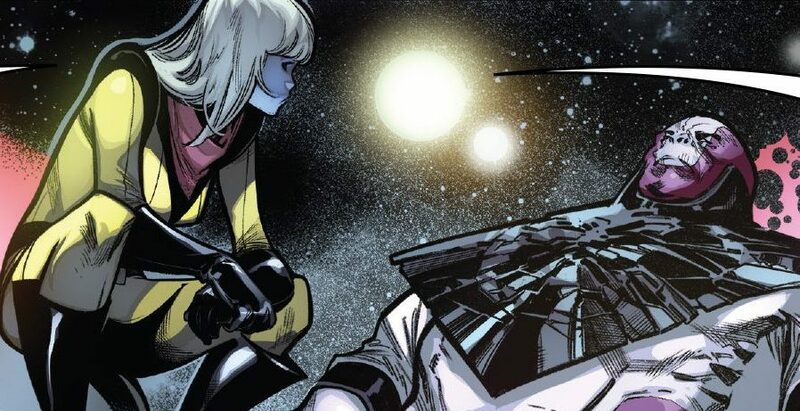 Marvel Comics Legacy & Avengers #689 Spoilers: No Surrender Part 15 Has Voyager Vs. The Challenger In Final Combat! Who Lives & Who Dies? 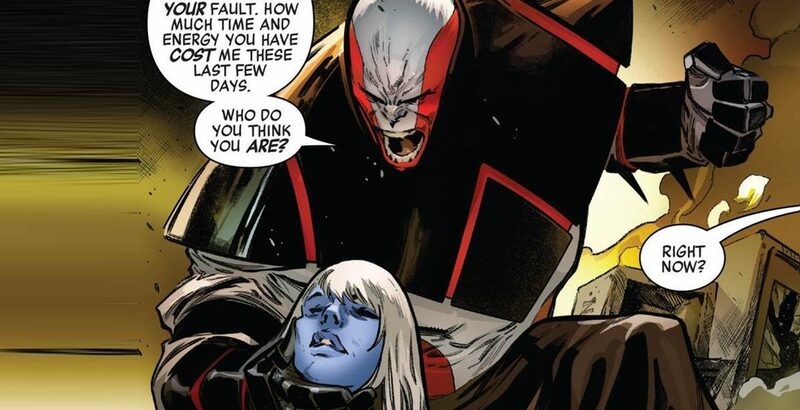 Marvel Comics Legacy & Avengers #689 Spoilers: No Surrender Part 15 Has The Challenger / Grandmaster Prime Destroying Earth Via Preview?! 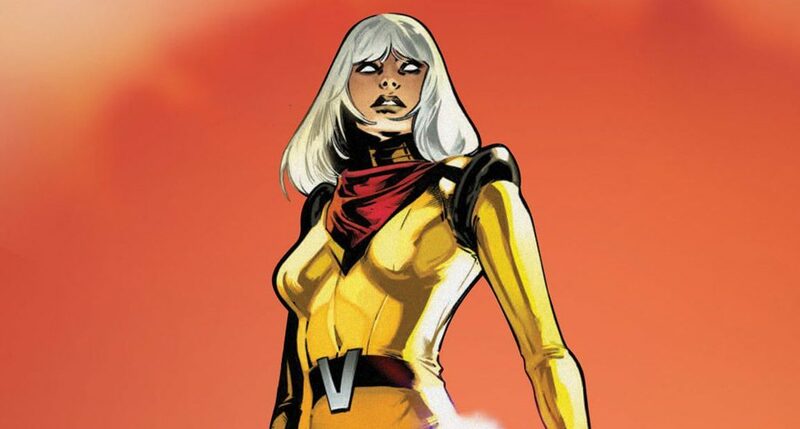 Marvel Comics Legacy & Avengers #688 Spoilers: No Surrender Part 14 Has Voyager Step Up In A BIG WAY! Marvel Comics Legacy & Avengers #688 Spoilers: No Surrender Part 14 Reveals The Challenger’s New Status Quo As The Immortal Hulk Attacks! Who Wins? Can the Avengers stop an unstoppable Elder? 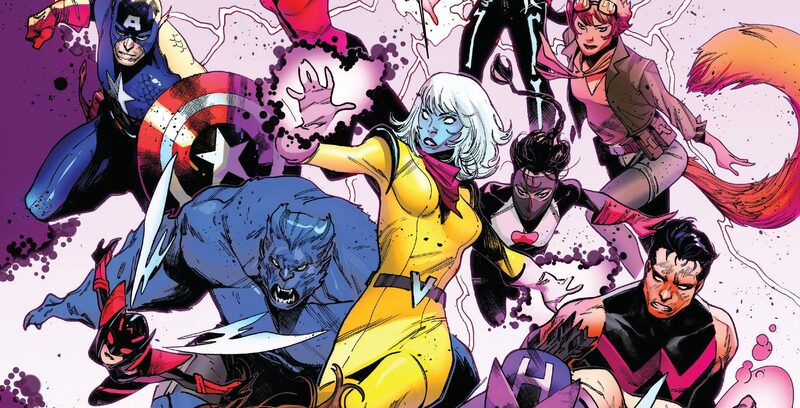 Marvel Comics Legacy & Avengers #688 Spoilers: No Surrender Part 14 Has The Challenger On A Mission To Destroy The Earth! Only 3 more issues to go before the fresh start! 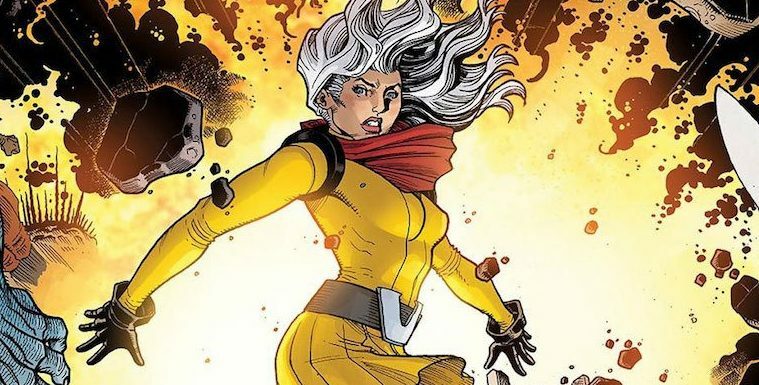 Marvel Comics Legacy & Avengers #687 Spoilers: No Surrender Part 13 The Challenger Strikes & Voyager Reveals The Elders Fresh Start Era Status Quo? Marvel Comics Legacy & Avengers #686 Spoilers: No Surrender Part 12 Reveals Who Wins The Deadly Game! The Challenger Or The Grandmaster? The Immortal Hulk Is The Difference Maker! Marvel Comics Legacy & Avengers #686 Spoilers: No Surrender Part 12 Has The Immortal Hulk Vs. Voyager Plus A Fateful Game Changing Decision? Marvel Comics Legacy & Avengers #685 Spoilers: No Surrender Part 11 Has The Immortal Hulk Vs. Red Hulk & Vision On Rampage To Voyager?! Marvel Comics Legacy & Avengers #684 Spoilers: No Surrender Part 10 Has Return Of The Incredible Immortal Hulk FINALLY Plus A Retcon Of History! He's FINALLY back... and angrier than ever! 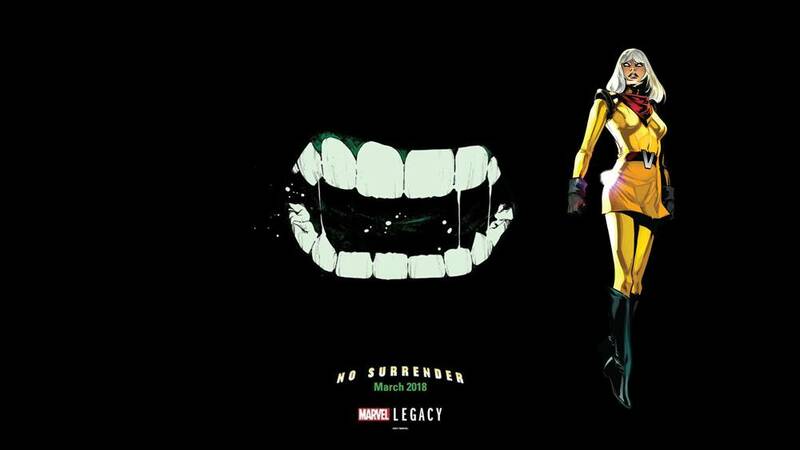 Marvel Comics Legacy & Avengers #684 Spoilers: No Surrender Part 10 Unveils Voyager’s REAL History Including Her Surprise Dad Plus The Incredible Immortal Hulk’s Return? Marvel Comics Continued Shady Practices Intended To Mislead Readers?! Since When Is A Second Print A Variant Cover? Amazing Spider-Man #797, Avengers No Surrender & More! Silly at best & deliberately misleading at worst. 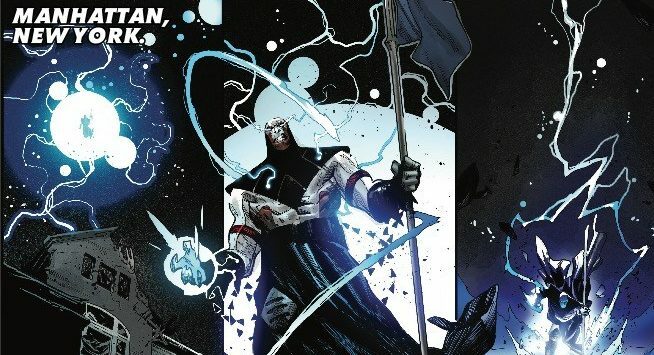 Marvel Comics Legacy & Avengers No Surrender Spoilers: The Challenger Joins The Elders Of The Universe! Who Is The Promoter? Elders Status For Fresh Start? Demythify! What's the current deal with the Elders? Marvel Comics Legacy & Avengers #682 Spoilers: No Surrender Part 8 Finally Has The Return Of The Immortal Hulk Bruce Banner! He's back and VERY angry! 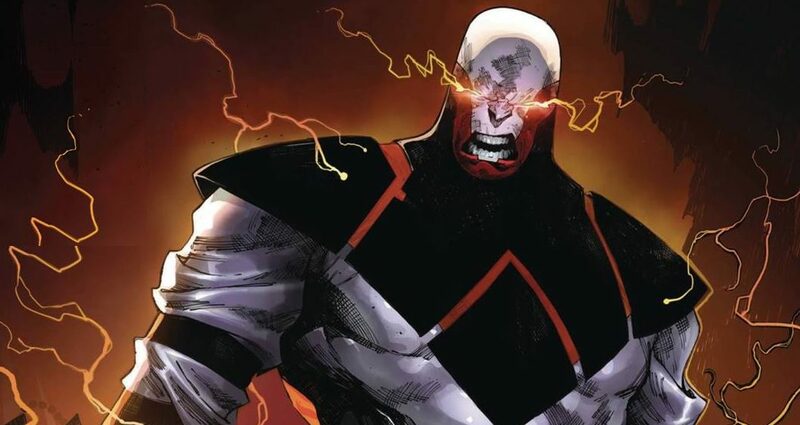 Marvel Comics Legacy & Avengers #679 Spoilers: No Surrender Part 5 Reveals Secret History Of The Challenger! Plus Is Fantastic Four Human Torch Dead?